GOVERNMENTS AND ELITE MUST BE KILLED AND DEAD INSTEAD OF PEOPLE IF THEY DON'T GIVE US WHAT WE WANT. 1 .- TO REDUCE POPULATION in different ways including chemical weapons, like VACCINES such as those used in Mexico to kill many people and they'll continue doing this 'till 2012. THE FLU VACCINE IS ONLY A BIOLOGYCAL AND CHEMICAL WEAPON, between others, but governments only say to people that is a FLU EPIDEMIC OR A PANDEMIC but we all know that a virus of 3 mixes are called CHEMICAL WEAPONS just as the case in Mexico (avian, porker, and human). And now is everywhere in all countries because is part of governments plans to REDUCE POPULATION BECAUSE OF THE 2012 DISASTER, AND "THERE'S NO PLACE FOR ALL PEOPLE IN UNDERGROUND BASES" ONLY FOR GOVERNMENTS AND ELITE. These mixtures are only made by chemicals and it's transmitted by injection or vaccine and these chemical weapons are the same weapons that U.S. used to kill many people in Iraq and this mixture is also equal to the virus that E.Ts. use for their experiments with humans. ANOTHER VIDEO OF ORGANS EXTRACTION. WATCH THIS GUN TO CAUSE CANCER AND HRART ATTACKS. THESE CRIMINALS ORDERED TO BUILD IT IN ORDER TO KILL PEOPLE AND REDUCE THE POPULATION LEAVING NO TRACE. HERE YOU'LL SEE A PROOF, WELL NOT ONLY ONE, A LOT, AND ALSO A LOT OF VIDEOS ABOUT THIS TERRIBLE VACCINE, AND WHAT HAPPEN WHEN PEOPLE VACCINATE? WATCH THE VIDEOS PLEASE. AND YOU'LL ALSO WATCH A VIDEO WHERE SOMEONE INFORM ABOUT THE CHIP THEY WANT TO PUT IN THE VACCINES IN ORDER TO GET CONTROL OF PEOPLE. PLEASE WATCH THEM ALL. THESE VIDEOS ARE VERY IMPORTANT. 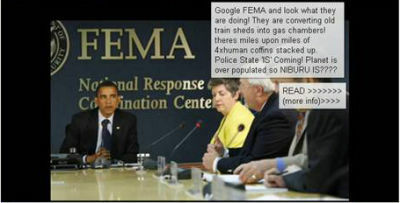 HERE YOU SEE THE BIGGEST LAMB OF THE UNITED STATES IN "FEMA" PLANNING WITH HIS PEOPLE THE NEXT ATTACK OF "FLU" FROM 27 TO 31 JULY 2009 WITH CHEMICAL AND BIOLOGICAL WEAPONS THAT THEY MADE FOR ALL COUNTRIES. AND CONVERTING MORE TRAINS IN GAS CHAMBERS AS YOU CAN SEE. AND NOW ALL THE VIDEOS ABOUT FLU. AND BESIDES THAT THE CHEMTRAILS SENT TO THE PEOPLE AND WEATHER BY PLANES AS YOU'LL SEE ON THE NEXT VIDEOS. HERE ONE OF THE PLANES FOR THE CHEMICALS IN THE AIR. United States began his massive attack and mortality as part of the 1st. 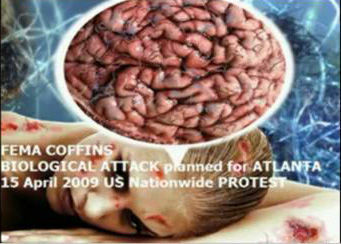 phase of their (NWO) new black world order with CHEMICAL AND BIOLOGICAL WEAPONS, in several states in the same country as Atlanta, which has been attacked several times, this last time was on 15 APRIL 2009. Check the next picture and get the information. It is therefore important to be prepared in case USA decides to put the PHASE 2 these days From the 27 to 31 July 2009. 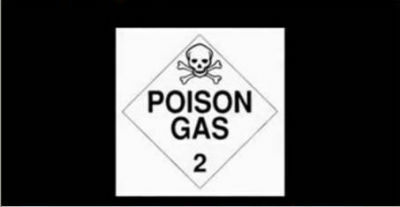 This means that the United States can attack with gas or releasing the chemicals from the air. WE HAVE SEEN IN MEXICO THE BLACK helicopters. So be alerts and be careful. As shown in the photo above, many people were killed in Atlanta, these mixtures can be very dangerous, NEW H1N1 is very dangerous because the viruse can be combined as of Anthrax (who also made USA) with the smallpox and some others. USA have made this with the Grays help, since long time ago. Can be precisely USING GAS AND USING HELICOPTERS OR PLANES. So Protect yourselves from 27 to 31 July 2009. All countries had this page when we informed about the attack to 5 countries and IT WAS CONFIRMED BY THE MEDIA AROUND THE WORLD, so we shall continue informing. Now the VIDEO mentioning that THE FLU VIRUSES WERE MADE IN 2 US UNIVERSITIES. AND THIS CAN MUTATE. IN THE NEXT VIDEO, YOU'LL HEAR THAT GOVERNMENTS PLAN TO PUT A MICROCHIP IN ALL VACCINES TO MIND CONTROL THE POPULATION. HERE WE CAN SEE THE BIGGEST LAMB FROM USA IN F.E.M.A. WITH HIS PEOPLE, PREPARING THE NEXT BIOLOGICAL ATTACK FROM THE 27 TO THE 31 OF JULY 2009. WITH THE CHEMICAL WEAPONS THEY MADE IN THAT COUNTRY. IN THE NEXT VIDEO YOU'LL HEAR ABOUT THE INMINENT REDUCTION OF POPULATION WITH THE FLU VACCINE. AND ONE MORE VIDEOS IN WHICH SCIENTISTS SAY THAT THE FLU VIRUSES ARE ONLY "THE NEW CHEMICAL WEAPONS" TO REDUCE POPULATION. ONE MORE VIDEO ABOUT VACCINES. IN THIS VIDEO YOU'LL HEAR THAT THE H1N1 IS JUST THE BEW CHEMICAL WEAPON TO REDUCE POLULATION AS WELL. This is all part of the secret plan of death BECAUSE THEY DON'T WANT AGGLOMERATION IN 2012 because if people know about their plans and join, THEN THEY WOULD BE DEAD AND NOT THE PEOPLE. ANOTHER listening Proof that the H1N1 vaccine is to reduce the world population. EVIDENCE IN MEXICO: The following is part 1 Audio Video, you can browse the part 2, 3 at the network etc..
ONE MORE VIDEO PROOF OF THE DEADLY CONSEQUENCES AS DEATH OR IRREPARABLE AND IRREVERSIBLE DISEASE IN THIS VIDEO. ONE MORE VIDEO TO AVOID VACCINES. NOW ANOTHER VIDEO SUPER INTERESTING ABOUT VACCINES. 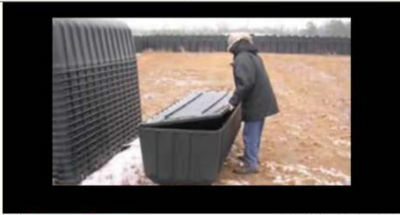 NOW AS YOU CAN SEE THOUSANDS OF COFFINS FOR THE BONES OF THE PEOPLE KILLED USED AS FOOD. ON THE NEXT PICTURE YOU'LL SEE A BUS FOR EVACUATIONS FOR DIFFERENT CASES, TRAY TO AVOID THESE BUSES AND NEVER GET ON THIS TRANSPORTATION. 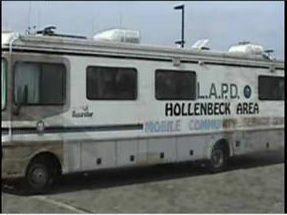 The trucks in other countries like Mexico, may be the military or common trucks and buses. Be careful. 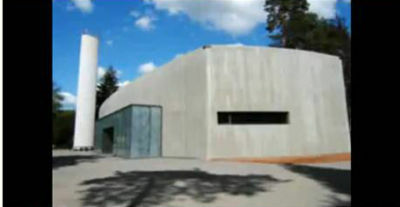 Here in the next picture, I will show you FEMA CREMATORIA outside of some underground bases as FEMA, so it is very important not to get close to the bases even if you know where the entrances are. Because right now it's too dangerous and worse if you go alone. You should wait until we give you the DATE, DAY AND TIME so we'll go all together when the time comes, that'll be the climax where ALL TOGETHER WILL OVERTHROW THE CURRENT WORLD SYSTEM OF CRIMES,ROT AND CORRUPTION. Until Then we give you another new indications. For now, just remain alert and stand by, because is very dangerous. There are many entrances to the bases on the border with Mexico and Canada, "This was an alien gray sugestion to the USA" to prevent migration to this BLACK COUNTRY. So many migrants who are holding over the border, they take them and lead them immediately to bases underground and then they put them into the gas chambers and are killed wrost than animals. They have thousands of migrants in slavery from different nationalities. The uniforms are blue and red. The Red ones means are next to be executed. The Blues continue to slavery and have many other tasks, while they wait for their time of execution or while they change the uniform from blue to red. 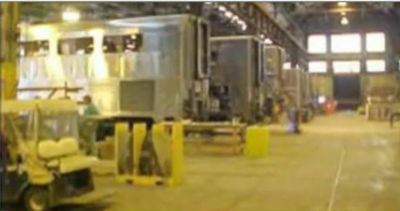 PICTURE OF THE GAS CHAMBERS IN UNDERGROUND FEMA CAMPS. THERE ARE A LOT OF CONCENTRATION CAMPS AROUND THE WORLD, AS YOU CAN SEE IN THE NEXT VIDEO. ONE MORE PICTURE OF A DIFFERENT GAS CHAMBER (there are different types), this can fit up to 26,000 people in each (dead) every 24 hrs. MASS ENCRYPTION IS BEING CARRIED OUT IN MANY COUNTRIES COUNTRIES but especially in different states of U.S. but most of times on the BORDER WITH MEXICO and CANADA.